Raaga.com: Is BJP Govt. trying to appease Muslims by bestowing Bharat Ratna Award on Dilip Kumar? Is BJP Govt. trying to appease Muslims by bestowing Bharat Ratna Award on Dilip Kumar? After receiving multiple flaks from the Muslim quarters on different issues like 'ghar wapsi' 'love jihad' and ‘beef ban’ propaganda by the affiliates of BJP like RSS Bajran Dal and others the BJP government has plans to appease the Muslim. In a bid to win the Muslim community’s confidence, Narendra Modi, the shrewd and crafty Prime Minster of India has purposed to bestow Bharat Ratna award, national’s highest civilian honor to thespian Dilip Kumar. “It’s understood that Dilip Kumar may be conferred the Bharat Ratna for the current year 2015”, he quipped. 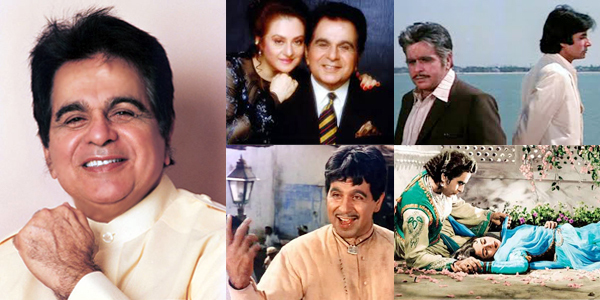 Dilip Kumar, whose real name is Mohammad Yusuf Khan is regarded as the ‘God of Acting’ and has influenced many generation of actors from Amitabh Bachchan to Shah Rukh Khan to Kamal Hassan down South Indian Cinema. What’s more Dilip Kumar holds the rare Guinness World Record for winning the maximum number of awards by an Indian actor. He has received many awards throughout his career, including 8 Filmfare Best Actor awards and 19 Filmfare nominations. He was honoured with the Filmfare Lifetime Achievement Award in 1993. Dilip Kumar also holds the distinction of being member of Rajya Sabha, the upper house of Indian parliament for a term and was even appointed Sheriff of Mumbai (an honorary position) in 1980. In addition he has been awarded the Indian government’s civilian awards like Padma Bhushan in 1991, the Dadasaheb Phalke Award in 1994 and the Padma Vibhushan in 2015. However the Bharat Ratna award was long overdue to the thespian and should have been awarded by the late 90’s but due to dirty politics he was denied the honor. But as the English proverb goes –Better late than never! Interestingly for the year 2015 already two legends have been conferred Bharat Ratna viz. Atal Bihari Vajpayee, Former BJP Prime Minister of India and Madan Mohan Malaviya, Educationist and politician (President of Indian National Congress (INC). If Dilip Kumar wins he will be the third receipt in 2015.